President of the United State Donald Trump is a divisive figure among athletes. As such, when players win championships for their respective sports, a White House visit isn’t a given. 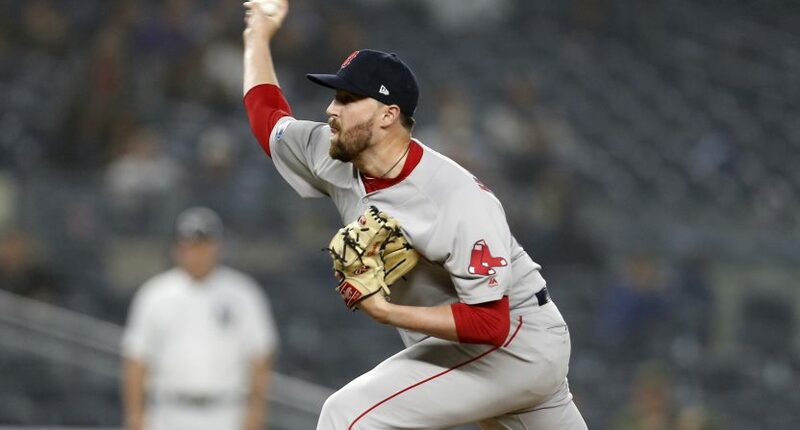 However, for Boston Red Sox pitcher Heath Hembree, he’s definitely going to visit Trump at the Oval Office. Hembree isn’t the first player to share their support for the President and won’t be the last. He’s got every right to hold those political beliefs and visit the White House. I’d expect some of his team members won’t visit. It’s their right. Hembree made four appearances for the Red Sox this postseason. The 29-year-old threw four scoreless appearances, including one game in the World Series.